Scene at the intersection of 10th Avenue and McIntyre Street after a man crashed into a utility pole in Edinburg on Monday, Oct. 9, 2017. Photo by Naxiely Lopez-Puente. Police confirmed at just after 6 p.m. that they are now treating the crash near the courthouse as a homicide investigation. Police said the driver of the vehicle, an unidentified 27-year-old Edinburg man, who may have been shot in the upper torso, died in route to a local hospital. Many of the roads near the scene remain closed as officers continue to search in and around the area for any clues regarding the possible shooting. Officers are using K-9s in attempt to locate any weapons or ammunition near the scene. Police here are investigating a possible shooting near the Hidalgo County courthouse. When police arrived, they found a white passenger vehicle had jumped the curb and collided with a light post. When they approached the vehicle, officers noticed the male driver had an injury that was consistent with a gunshot wound. The unconscious victim was transported to Doctors Hospital at Renaissance and his condition remained unknown as of 5:30 p.m.
Police remain at the active crime scene and continue to investigate the possible shooting. 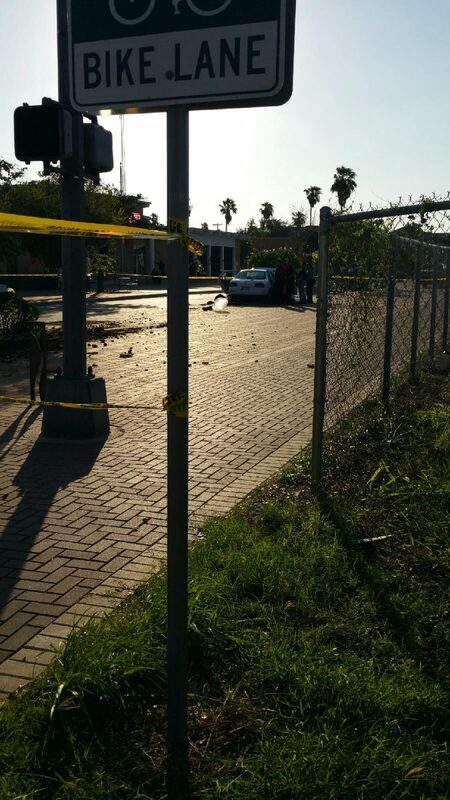 EDINBURG — Police here are investigating a possible shooting near the Hidalgo County courthouse. 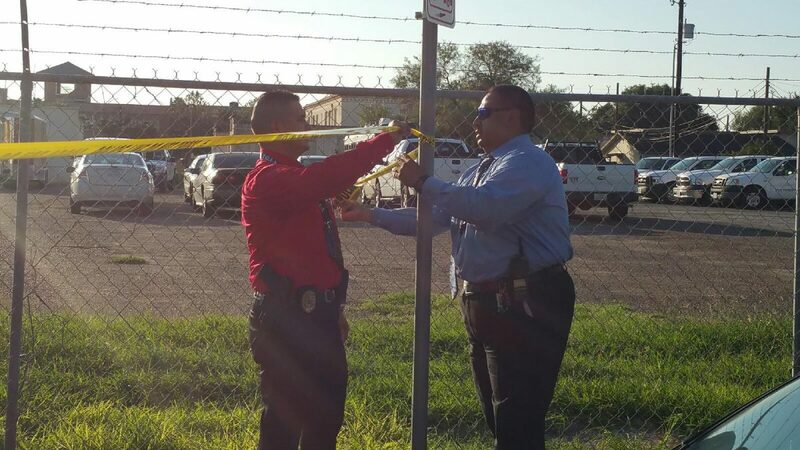 Hidalgo County District Attorney Ricardo Rodriguez confirmed Monday afternoon Edinburg Police are at the corner near 10th Avenue and West McIntyre Street investigating a possible shooting. Police have yet to release any details on the ongoing investigation. The courthouse remained closed Monday in observance of Columbus Day.